My husband Paul and I live on 5 acres near Cottage Grove in a home we built. Paul works for the U.S. Forest Service and also manages a small tree farm. We have 3 grown children and 2 grandchildren who live in the Cottage Grove area. I am a native Oregonian which contributes to my well rounded knowledge of the local area. When I say I will devote my time to satisfying your real estate needs I mean business. My unbridled passion for excellence is just one of the many ways my successful track record as a real estate agent has evolved. 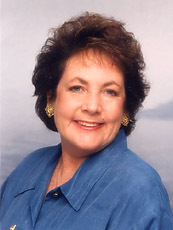 My role in every real estate transaction has benefited my "family" of many satisfied clients. As a Broker with RE/MAX Advantage Plus, I'll be happy to guide and assist you and your family through all phases of buying or selling your home. Let me go to work for you... because I know better service yields better results. It may matter more who manages the sale of your home than who actually brings the buyer. And, it may matter more through whom you purchase your home than whose home you decide to purchase. 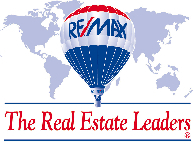 I will put the RE/MAX network to work for you. I can help you buy any home that is for sale in our market--regardless of whose name is on the For Sale Sign. I will use the proven RE/MAX marketing techniques to help you get the best possible price as quickly as possible. The pattern for my success stems from my highly motivated attitude combined with a unique strategy developed for individual real estate transactions. I customize a plan for my clients based on their wants, needs and desires. Over the years I've learned many truisms. Here are some words of caution I like to pass on to my sellers. 1. Don�t know YOUR marketplace. 2. Haven�t taken time to thoroughly inspect your property. 3. Don�t know your circumstances in DETAIL... goals, timetable, motivation, etc. 4. Like or love you but don�t approach your situation objectively or knowledgeably. 5. Will tell you what you want to hear but don�t have the facts or data that would help you make a more realistic decision. 6. Will always have a better DEAL you could have or should have gotten. 7. Talk too much...but never seem to listen. If one doesn�t really know your problem, how can they have the BEST solution? 8. Always bad-mouth others but bring nothing concrete to the table themselves. 9. Can�t show you a logical, detailed action plan that addresses your situation. 10. Have no proven track record for results comparable to those you want or need. High level of local civic involvement lends me necessary insight to continue as a successful individual in all of my daily activities. I participate where I believe I can become a better person as well as lending a helping hand.